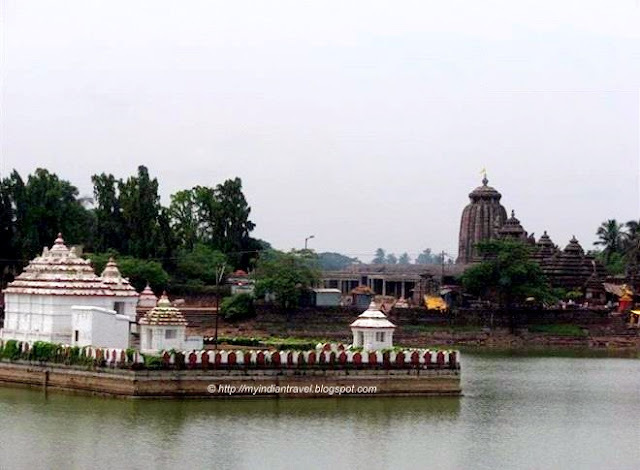 Bindu Sarovar in Bhubaneshwar is a sacred lake surrounded by various temples. The 1300 feet long and 700 feet wide large lake has a tiny island with several shrines in its middle. This lake is also known as Ocean Drop Tank. As per legend the lake was created by Lord Shiva by pouring water from all the holy places to quench the thirst of Goddess Parvati. This lake on one side has the famous Lingaraj Temple and while in other direction it has Ananta Vasudeva Temple. The lake is the venue for conducting the ritual bath of Lord Lingaraj held during the annual festival. So many amazing Temples to see around the lake. Looks like a great place to visit. Have a wonderful week in your part of the World. Looks beautiful place to visit. Thanks for sharing. A sacred lake with temples how wonderful. Here our lakes are used for fishing, water skiing, swimming, boating more for entertainment. Although I am blessed to have clean water to drink, I am not sure everyone here in the U.S.A. is in gratitude. Are people ever allowed to step in the Sacred Lake? It is a lovely place surrounded by interesting buildings. I love the legend of the lake! Great legend and I love the temples. Beautiful lake , but I was expecting some more words about this place !! Visited this place a couple of months back, on the way to the Lingaraj Temple nearby. It was nice get the feel of the old world charm. Such a scenic and historic place!